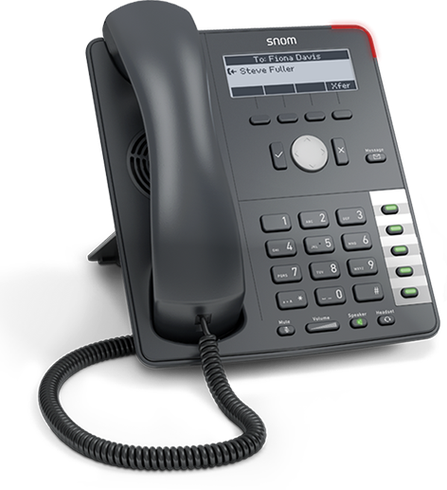 The Snom D710 is an affordable business phone designed for HD audio and performance. With a rich set of business features critical for today's real time, information-driven workforce, the Snom D710 phone delivers superior call quality. Its sleek, ergonomical design has an advanced speaker and microphone system, and supports a broad range of media codecs.